Located in the Paramount Hotel, this dual concept engages all the regions of the palate. Swank Restaurant polishes the ruggedly natural aspects of the Pacific Northwest into precisely crafted plates, while just across the lobby, Swine Moonshine and Whiskey Bar explores the history of the American whiskey tradition. Open daily for breakfast, lunch, and dinner. Large parties welcome. Private dining also available. In the heart of Portland’s bustling Pearl District, Brix Tavern offers a warm, contemporary neighborhood restaurant and bar in one. Featuring seasonal, global-inspired tavern fare, extensive craft beer offerings and original handcrafted cocktails, the daily food and drink specials keep locals and visitors alike coming back again and again. AS IF 100+ MARTINIS WEREN'T ENOUGH. The Martini: The King of Cocktails. A long-disputed history, the cocktail is nonetheless a staple in any bartender's book. Bartini features countless variations on this classic; the inventive concoctions will have you sipping all night long. 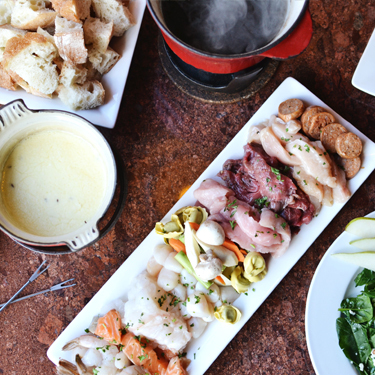 Located just off of the lively 21st Ave. in Northwest Portland, Urban Fondue offers a cozy atmosphere with indulgent menu offerings highlighting seasonal ingredients. The cocktail list boasts 100+ martini options from the adjacently located Bartini, where happy hour keeps the bartenders busy all night long. Come see for yourself why locals have been loving Urban Fondue for over 10 years! Northwest fresh and locally crafted, with ingredients sourced within miles of the Pearl Catering kitchen just over the Willamette River. 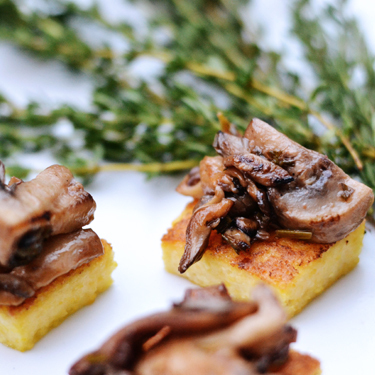 The team will work with you to build and tailor the perfect menu for you and your guests. 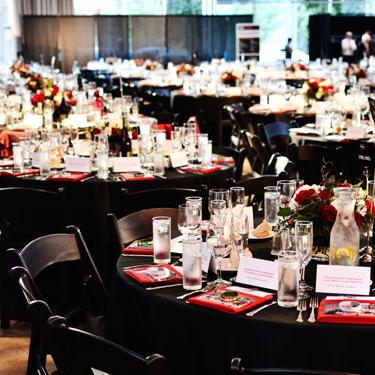 From time honored traditions to unique and original twists, your event should reflect your style and create an unforgettable experience. That’s why we believe nothing less than perfection will do. Even the smallest of details are our priority. Customized menu planning, bar service and more. 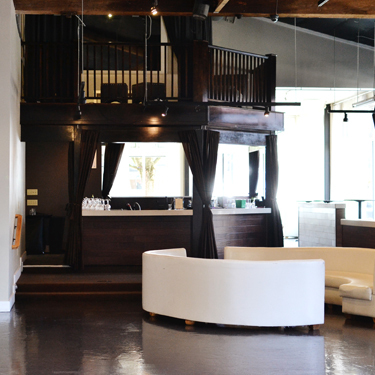 and exclusive caterer at Urban Studio. Light and airy, large windows face the bustling streets of the trendy Pearl District. A garage door opens to the sidewalk on NW 10th Ave with the Portland Streetcar just steps away. The iconic corner building has been a staple since the early 1900s when it was occupied by the Denby Motor Truck Company. 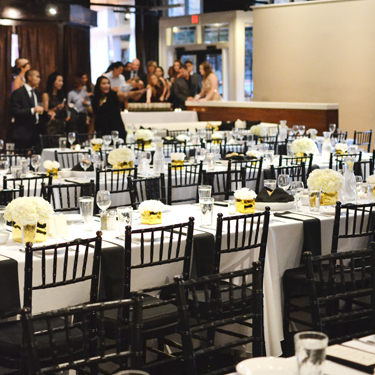 A space to be filled with purpose, the Studio has a wide open, flexible floor plan to accommodate any event, from mingling cocktail parties to seated dinners to theatre-style viewings. Exclusively catered by Pearl Catering.